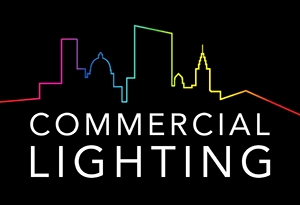 Commercial Lighting is pleased to announce an update to its Sovereign Round and Square Spotlight ranges, utilising the very latest Tridonic LES10 modules to provide more light for less wattage. This ensures some of our most in-demand ranges continue to give clients the most up to date specs for assured competitive performance. Whilst our luminaries were already offering an attractive lumen:wattage ratio, this update now provides an exciting 25% efficiency boost, meaning our projectors now boast an impressive LED efficacy of up to 130lm/W. We offer three output options; High Efficiency (9.8W), Nominal (14.1W) and High Output (19W), with other options also available. Our SOVEREIGN range is renowned for its vast offering of variants, and our Round and Square Spotlights continue to offer just that. As well as an array of output options, these spotlights offer spot, flood and wide flood beam angles, multiple colour temperatures, a choice of mounting options and any BS/RAL colour from our in-house powder coating facility. Head over to our product pages to specify a variant just right for your project. Want a more minimal look to the Round Spotlight ranges? Check out our recent Round Minimal addition, also upgraded to utilise the Tridonic LES10 modules. All our Round Spotlight Ranges (Round Shallow, Round Vertical and Round Minimal) can be fitted with our popular range of filters, lens and barn door accessories. Further info can be found here, or in our Technical Datasheets found on each of our product pages.